Neko Case has called her pal Kelly Hogan “the Zelig of rock ‘n’ roll.” Her name appears in the credits for albums by Mavis Staples, the Mekons, Will Oldham, Matt Pond PA, Amy Ray, Giant Sand, Archer Prewitt, Alejandro Escovedo, Drive-By Truckers, Jakob Dylan, Tortoise and many others, Case included. Hogan’s fourth album has been a long time coming, in part because she’s been busy as a crucial part of Case’s band (anyone who’s seen Case live has witnessed Hogan’s amusing banter), in part because of the nature of the project. For I Like To Keep Myself In Pain (Anti-), Hogan sent letters to her songwriter friends, many of whom she’d sung with, asking them if they would send her a song, either one written specifically for her or one that “you think I could do right by,” as she said. 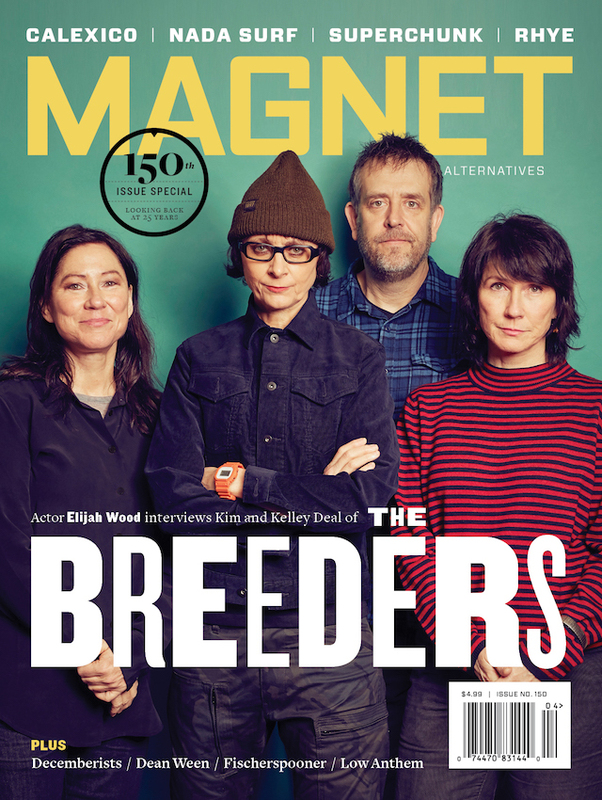 That process started several years ago, and results yielded songs from a veritable who’s who: Vic Chesnutt, Stephin Merritt, Andrew Bird, Jon Langford, Janet Bean, M. Ward and others. Hogan will be guest editing magnetmagazine.com all week. Read our recent feature on her. Hogan: I’m a huge fan of jazz great Bob Dorough, and you just might be, too—you just don’t know it yet. He’s one of the creative minds—and singing voices—behind the wildly popular (and almost 40 years old now) animated musical educational series Multiplication Rock. His cool rabbit character Lucky Seven Sampson taught me my sevens tables in the nick of time in 1973 (I was sweating a math test), and my first band in Atlanta used to cover the slow and bluesy “Naughty Number Nine.” I used his song about the number three to do beer inventory every week when I worked at The Hideout in Chicago (three-six-nine, 12-15-18! ), and I still use it almost every day in one way or another. Maybe it’s weird to count things by threes, but it works for me. Three is my magic number. I first heard Bob Dorough’s jazz work during my senior year of high school when I was given a reissue of his perfect 1956 record Devil May Care—not knowing at first that it was my Multiplication Rock man, but realizing it right away when I heard that voice come out of my speakers. Light and alive, like fireflies buzzing around—with almost the sound of a human kazoo in his throat, the paper diaphragms beating together like moth wings, spreading out that silver dust—zigging and zagging and deft, sometimes braying out playful be-bop “bleats!” and “blats!” like laying on a car horn—but with jubilation(!) not harshness. He’s got a soft Southern dangle to his vowels (Bob’s from Arkansas, don’t ya know … ), and to me there’s always a sweetness—a sweet sincerity to his delivery. And humor, too. I swear you can hear him grinning, even during his piano solos. Bob also turned out to be my “gateway drug” that led to finding some of my other favorite-ever jazz musicians: Blossom Dearie, Dave Frishberg, Fran Landesman, Sheila Jordan, Eddie Jefferson, Georgie Fame, Jack Sheldon, Grady Tate—and I kept on buying all his records and hoping to one day see Dorough perform live. My flight had been delayed an agonizing five hours on the tarmac in Atlanta, and I was afraid I had missed the whole first night’s show. I rushed into the tiny club just before the last set, out of breath, wearing a too-big vintage granny dress and old-man shoes, and carrying a stuffed Daffy Duck toy I had bought at the airport for a friend. Bob, who was sitting right there at the end of the bar, looked up and, almost laughing, said in that familiar voice, “Little lady, are you sure you’re in the right place?” All I could stammer was, “I … I … I came to see you.” Bob’s next words were “Get this lady a drink!” I’ll remember that gin and tonic forever. That night, and the rest of my first-ever visit to New York City was a dream. 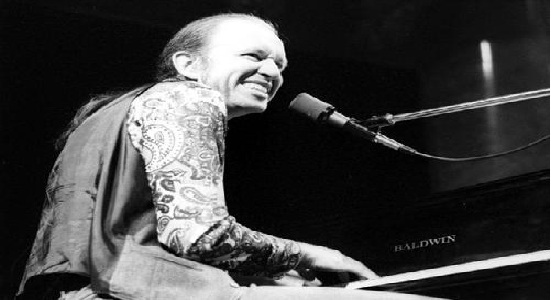 I could go on and on about Bob Dorough’s vast body of work (and my secret wish of one day getting to sing with him … sigh! ), but I ain’t got time to tell you anymore right now! Because check this out, people! It’s 2013 and Bob’s still doing it! He’s still making great music and playing crackling piano! He’s got a new album out called Duets and he’s still performing at age 89! There’s also a wonderful documentary about Bob in the works called Devil May Care. So stop reading this and go get yourself some Bob Dorough! You’ll dig him! Blaaattt!